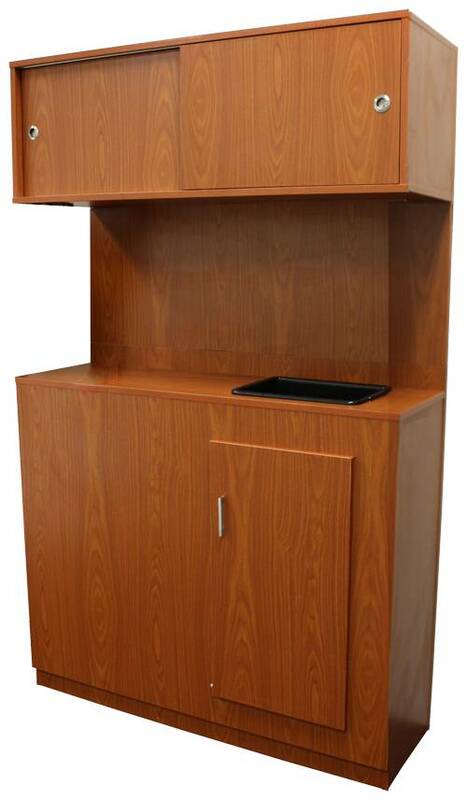 Shampoo cabinet featuring a spacious cabinet and space to fit a cabinet-mounted shampoo bowl. There is counter top space and plenty of bottle and towel space. Will look great with our reclining shampoo chairs. Great with any of our shampoo bowls & units. Cabinet may be cut to put in plumbing. Height from top cabinet to floor= 76"
*This item is shipped via freight truck (not UPS, DHL, or FedEx) and will be delivered to outside curb or near the front door of your establishment.